Menorca is the second largest of the Balearic Islands after Majorca and arguably the best island out of the group for boating and sailing trips. The island boasts a number of pristine beaches and is also known for its crystal clear waters. In this article we will provide you with tips on the best places to go on boat and sailing trips in Menorca, as well as information on some of the sights you can see. You will be spoilt for choice when it comes to finding a boat or yacht charter company in Mahon, Menorca. 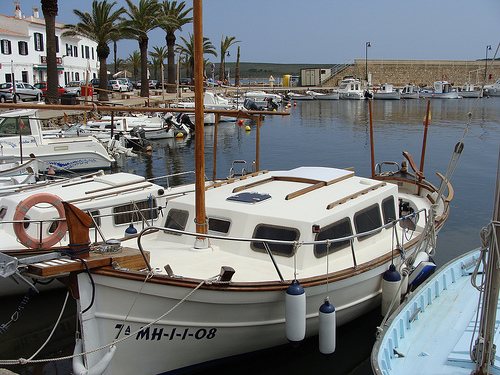 Mahon or Mao, as it is known locally, is Menorca’s main port. The harbour is the second largest in the world (after Pearl Harbour) stretching five kilometres long, one kilometre wide and up to thirty kilometres deep. Mahon is often referred to as the capital of the island and is the home of many boat and yacht charter companies. After you have spent a day or two exploring the harbour and visiting popular tourist sites like the Church of Santa Maria and the Xoriguer Gin Distillery, you should hop on board and set sail towards the southern coast of the island. On boat trips from Mahon you should expect to see a number of beautiful beaches including Son Bou, which is quite a touristy beach that is extremely popular with windsurfers. If you are looking for something a little more private, it is worth keeping your eye out for one of the more secluded, quieter beaches along the way. From Mahon you can head towards Ciutadella, a romantic and historic town, which also happens to be the second largest on the island. Whilst docked in Ciutadella it is definitely worth visiting the cathedral, especially if you are interested in mythological carvings and 13th century architecture. Many Menorcan boat tour companies operate from the picturesque port of Addaia. There you will find plenty of companies offering personalised boat tours for singles, couples and groups. Many of the tour companies take you around the island’s northern coastline on traditional fishing boats. During your boating trips you can expect to see majestic scenery, including virgin beaches and secret hidden coves. Most boats have bars on-board so you sit back and relax with a drink in hand, whilst taking in the beautiful sights. Some boat tour companies also give you the opportunity to go kayaking, snorkelling and swimming during the trip, so make sure you keep that in mind when making your booking. If you are holidaying in Ciutadella and fancy doing something a little different one day, why not take a boat trip along the coastline? You can either head north or south, depending on your personal preferences. Many boat companies operating in the area take holiday goers out on sunset trips to the beautiful sea landmark, Pont Gill. Most of the boat tour operators situated at the Old City Harbour make a number of beach stops on their tours, allowing you to swim in the bay and have a little sunbathe on the sandy beaches. Tours tend to last between three and four hours and are extremely popular, so you will definitely need to book in advance! 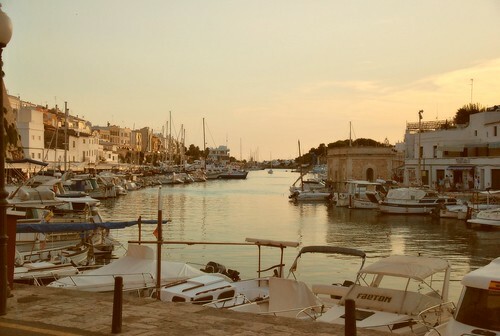 On holiday in Menorca with your partner? Take a romantic sun set boat trip to Pont Gill. Whether you are going on holiday on your own, with your partner or family or with a group of friends, a boat or sailing trip in Menorca can make a fantastic day out. Many people say that travelling via boat is the best way to explore the island and experience its breath taking sights. No matter where you are staying on the island, it is likely that there will be a boat or sailing character company operating from a port nearby. We highly recommend that you book your tickets to avoid disappointment as boat trips in Menorca are extremely popular during high season.